Naturally, things are a bit different than that starry-eyed little lady had imagined. And not to be all, ‘woe is me’ or anything, but hitting this milestone has really had me questioning, how did I get here, what am I doing with my life, why haven’t I done more or at least made more progress towards my dreams? Remember how much of an awesome and motivated and driven and do-all-it-takes kinda person you used to be? Clearly something went awry along the way. Then an odd thing happened. 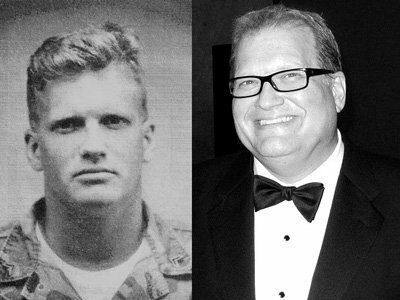 This morning, I was listening to some crappy radio station where they were announcing celebrity birthdays and for whatever reason when they announced that Drew Carey was turning 55 today, I thought, wow, 55? That is 30 years older than me. 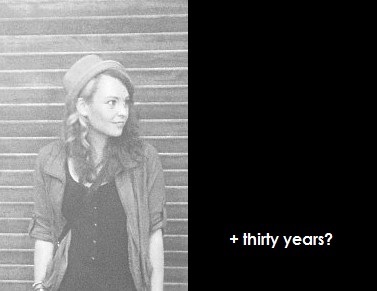 30 years is a long time. 30 is even larger of a number than 25. And in the next 30 years, sure I probably will buy a house, change jobs a few times, but life won’t be totally changing as quickly as it was throughout these first 25 years. Surely in these next 30 I can truly be refining who it is that I am, determine what defines me, and figure out what sort of things I want to really accomplish in this lifetime. If you think about it, the amount of life changes that occur from 0-25 it is pretty nut-balls. For some reason, this made me feel better. Sure I still wish that some of the decisions I made along the way were different, but there isn’t anything that I can’t work to correct or still make an effort to redirect my life towards (and I am.) At (nearly) 25 my biggest problems are: 1. I set totally unrealistic and impossible expectations of myself, pretty much guaranteeing failure and subsequent depression – time to start setting baby step, or reasonable goals for myslef, my life, my happiness; 2. I am a realist often leaning on the side of pessimism who uses sarcasm and self-deprecating humor as a crutch, yet at the same time, am a person who desperately wants to be a bright, colorful, optimist, rock star, creative junkie – but sometimes you have to just accept who you are and not get bent out of shape trying to fit into a mold that isn’t yours, even if your natural mold is in the shape of a black cloud, rather than a gold star; and 3. I have chronic the-grass-is-always-greener syndrome and excel at looking at all that I have and compare it only to those who have it better, but the truth is, life is pretty sweet – putting things in perspective is on the top of the list of skills to develop in the next 30 years, preferably 3, not 30. In summary, what I realized is that I am so tired of feeling sorry for myself. I am so tired of then feeling guilty for feeling sorry for myself. I am tired of my laziness and my immaturity. I am sure my loved ones are tired of all that as well. 24 has been a challenging year, but a good one in that a lot of thinking has been done, maybe not a ton of real action or progress, but mental planning for the very awesome things that HAVE to be in my future. Because I won’t settle for less. And to end this post, I would like to thank Drew Carey. Thank you for being a lot older than me. And Joyeux Anniversaire to you! P.S. That photo on the left is Mr. Carey about 33 years ago, age 22. Lookin’ sharp kid-Carey.